Location, location, location. For a very long time, Middle Harbor Shoreline Park has been one of Oakland’s best-kept secrets. But after this past weekend’s inaugural Bay Area Vibez festival, that’s no longer the case: word is out about the spot, which offers stunning views of the bay and the San Francisco skyline, similar to Treasure Island, except it’s less windy. Both days, the location was a constant source of chatter. “How come no one ever held a music festival here before?” was a frequently-repeated refrain. 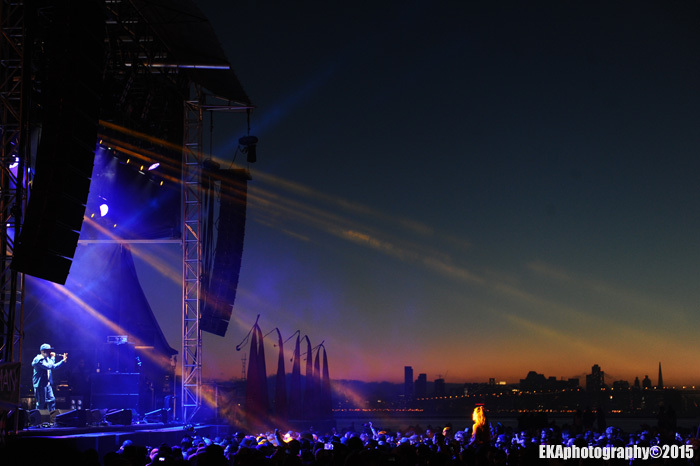 In retrospect, the location proved perfect for such an event, and went a long way toward a user experience which was much more amenable to comfort than many music festivals we’ve covered over the years. There was plenty of room for people to lay out picnic stuffs and chairs for a day of music in the sun, and just beyond the concert grounds, plank walkways led directly to even more chill-worthy spots on the shoreline. Such stunning natural surroundings made some of the inevitable production glitches associated with a first-time festival less of a big deal than they could have been, although the overlapping of sets between the two concert stages occasionally subtracted from the artists playing on the smaller, less-loud stage. 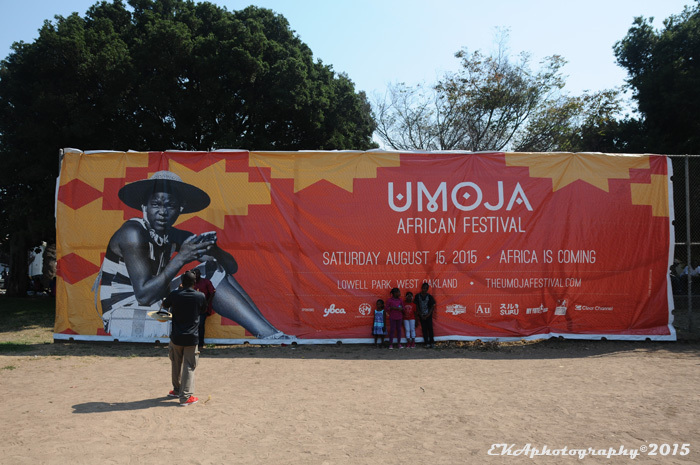 The music was fairly well-curated, with more than 40 artists and DJs overall, with a heavy concentration of reggae, electronic music, and hip-hop, with the occasional funk and jazz band. That made for an interesting demographic mix of millennials as well as perennials. It ain’t hard to tell. 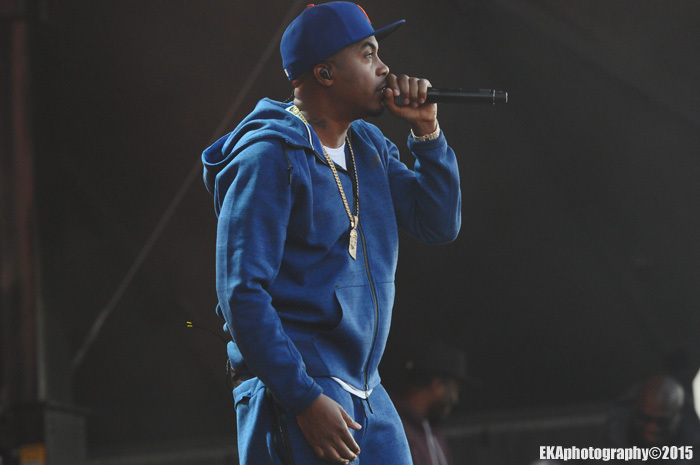 The show felt big, even though Nas was only accompanied by DJ Green Lantern. The location also contributed, as did the fact that he hit the stage right as the sun was going down, and thus had the benefit of a picturesque sunset with iridescent colors, known to locals as the “Oakland Glow.” Watching Nas perform, SF native and rap artist Sellassie Blackwell offered his own assessment of what made him so great: “he’s saying something.” Indeed, the content of his rhymes, as well as his delivery, is a big reason Nas is considered one of the best rappers ever to come out of New York. The second-best highlight was unquestionably the return of an artist one observer called a “magical dancehall unicorn”: Supercat, a late 80s-early 90s hitmaker who reportedly hasn’t performed in the Bay Area since 1992. For longterm dancehall aficionados, this was a dream come true, and to top that off, Supercat still had the quick-tongued lyrical finesse which made him a favorite in the first place. While he didn’t perform any new material, it didn’t really matter because tunes like “Vineyard Style,” “Dem No Care” and “Ghetto Red Hot” fired up the crowd with enthusiasm. 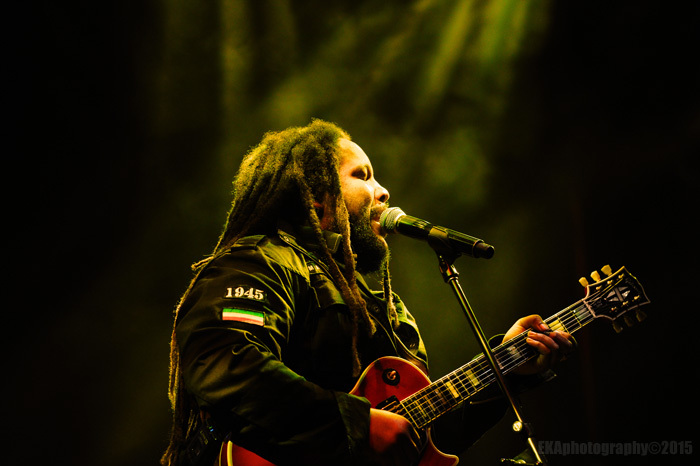 Supercat kicked off a top-ranking block of reggae programming Saturday night furthered by roots revivalists Morgan Heritage and two members of the Marley clan, Stephen and Damian, who kept the vibes simmering and the ganja clouds lifting. 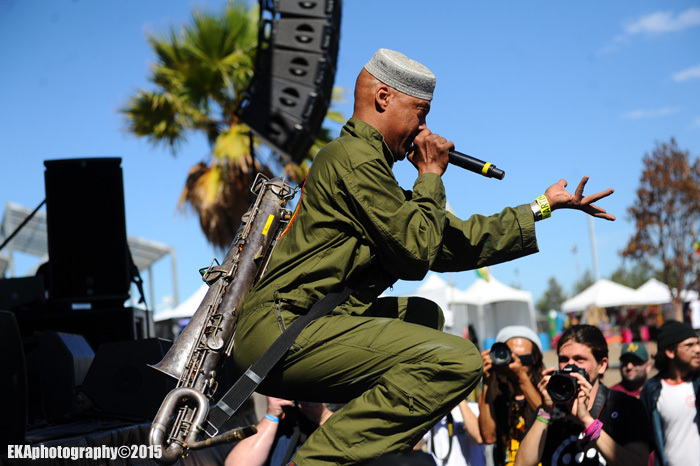 Other highlights from earlier in the day included a super-tight set by the criminally-underrated Fishbone which dug deep into their catalog for songs like “Everyday Sunshine,” “Junkie’s Prayer,” and “Party At Ground Zero.” The manic energy of frontman Angelo Moore was complemented by excellent musicianship and particularly-compelling horn arrangements. 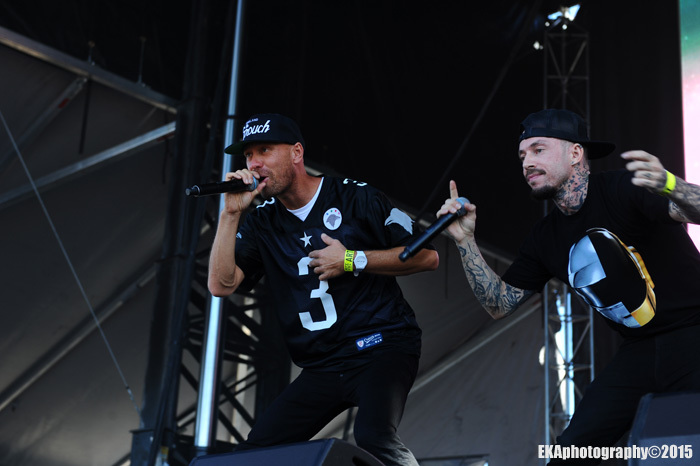 There was also an energetic main stage turn by The Grouch and Eligh, two members of the Living Legends crew (who got their start in a San Leandro St. warehouse and have grown into their moniker two decades later). 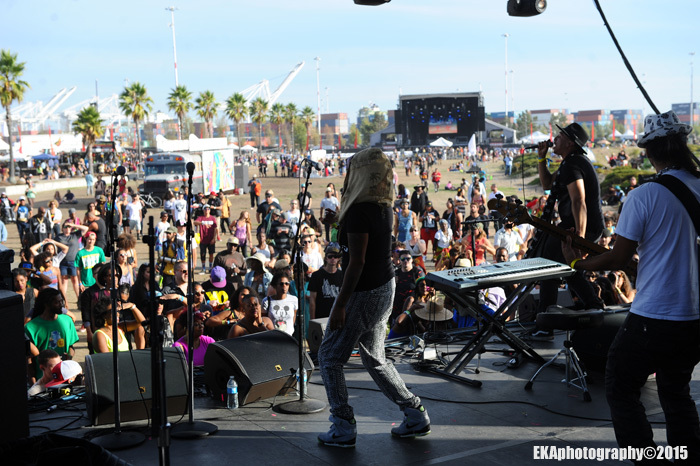 Although both are veteran solo artists, they worked well as a duo on songs like “The Bay to LA.” Mid-day sets by Taurrus Riley, Cut Chemist and Aloe Blacc were pleasant but mostly unremarkable. Oakulture arrived a bit later on the second day, just in time to catch a fantastic outing by the Kev Choice Ensemble which became an impromptu Bay Area Hip Hop All-Stars performance, as Choice’s already-tight band—featuring bassist Uriah Duffy, guitarist B’nai Rebelfront, and vocalist Viveca Hawkins—was accentuated by Zumbi Zoom of Zion-I, Deuce Eclipse of Bang Data, vocalist Jennifer Johns, Young Fyah and Sellassie. Their collar-popping performance, which included a blazing freestyle cipher, was almost enough to make up for the relative lack of other local artists on the celebrity-heavy bill. Almost. It was also great to see the sublime set by Meshell Ndegeocello, a bassist and vocalist who is a bit of a musical chameleon and can play everything from abstract jazz to funky soul and R&B. 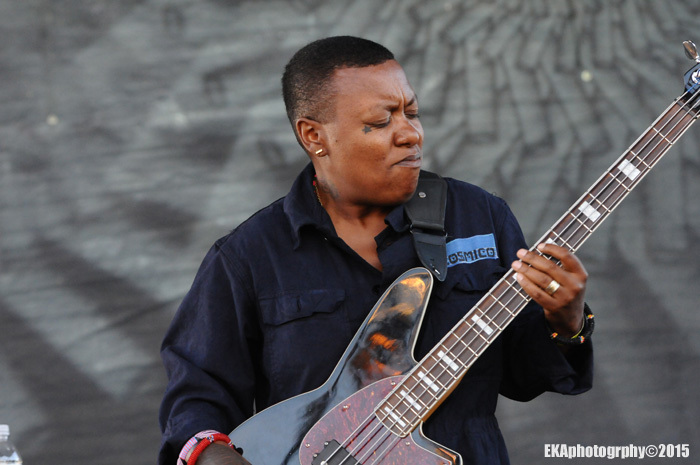 Ndegeocello began her set with an amazing cover version of Ready For the World’s “Love You Down,” and also brought new life to the Whodini classic “Friends.” Her band was in perfect synch, too, but it was a little disappointing that Nas’ set started before hers was done. Unfortunately, the same thing happened to Kev Choice, whose set overlapped with a louder and much less musically-interesting set by DJ Z-Trip — whose biggest bright point was a freestyle by emcee Supernatural who was handed objects by the audience, including a baby, and worked them into his flow. Overall, though, the experience was a positive one, and feedback from attendees were that they would not only return next year, but were looking forward to it. 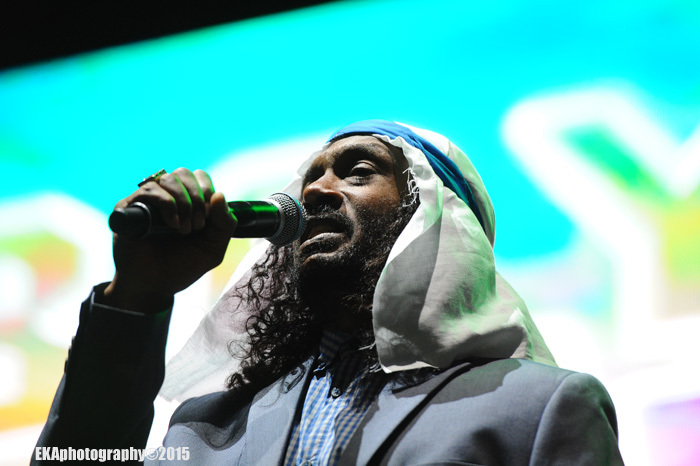 Categories: Event review, Live review | Tags: Bay Area Vibez 2015, Damian Marley, Deuce Eclipse, Fishbone, Jennifer Johns, Kev Choice Ensemble, Meshell Ndegeocello, Middle Harbor Shoreline Park, Morgan Heritage, Nas, Oakland Glow, Stephen Marley, Supercat, Taurrus Riley, Uriah Duffy | Permalink. 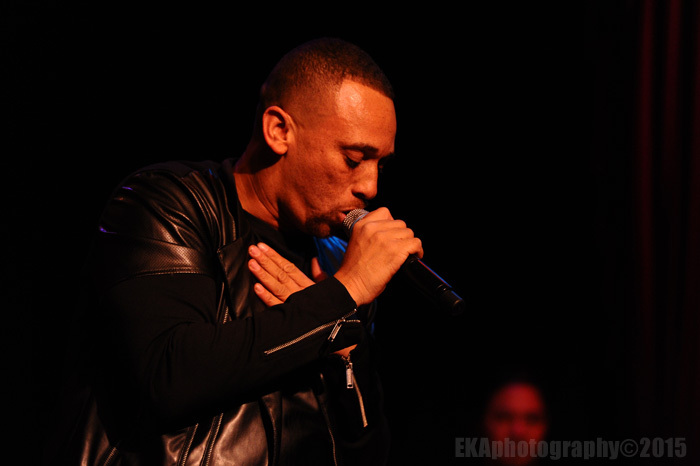 Live review/ Kev Choice @ Yoshis, February 5, 2015. “Can we have five more minutes? 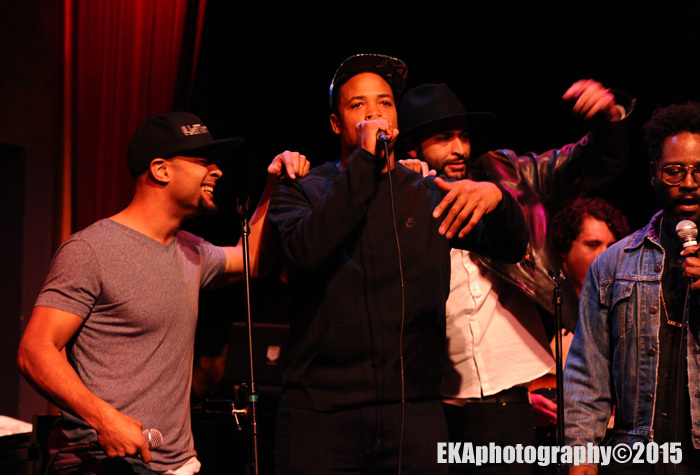 We sold out the place tonight,” Oakland’s own Kev Choice pleaded to Yoshis management. It was a few ticks of the clock past 9:45pm. For the past hour and forty-five minutes, Choice and his ridiculously-talented band had been playing selections from the pianist/composer/producer/emcee’s new album, Love and Revolution – the first public performance of this material (available for online purchase Feburary 10 at Choice’s Bandcamp site). 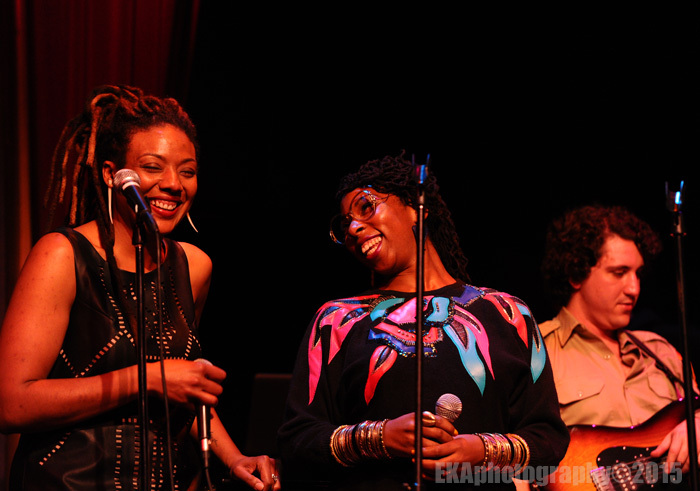 Alongide Choice’s top-notch backing band, a succession of guest artists lent an all-star feel to the proceedings, making the show seem as eventful as, well, an event. All night, there had been a significant procession of co-signers to Choice’s aesthetic, beginning with young people’s vocal chorus Young Oakland, continuing with frequent co-collaborators Viveca Hawkins and Jennifer Johns, then extending through cameo spots by HNRL, Lockmith, Jeff Turner, Chris Turner, Antique Soul, Zumbi Zoom, and, finally, Jaguar Wright. It had all gone by rather quickly. The momentum was still building, but the allotted performance time had run out. For a minute, there was a sense of, who’s gonna come out next? If the show were to continue, would the stage door conjure yet another amazing vocal talent? 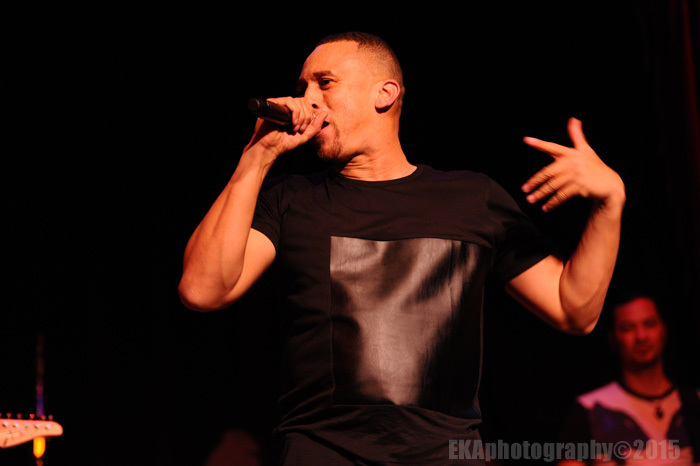 A Kev Choice concert is like getting two shows for the price of one. Not only do you get a conscious hip-hop throwdown, but you also get a memorable jazz-funk-soul vaccination. 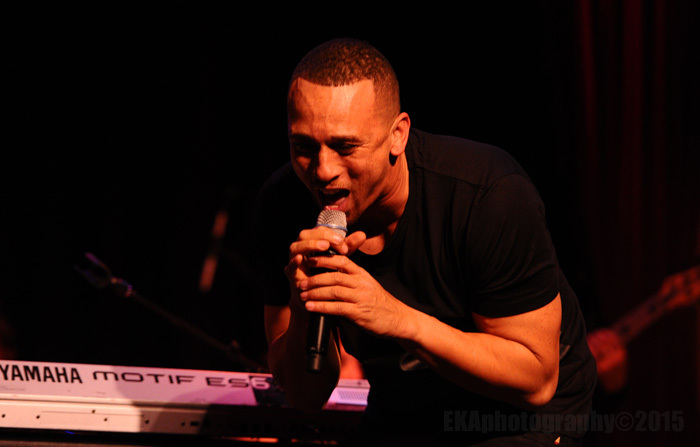 Choice handles the dual roles of pianist and emcee with ridiculous amounts of skill at each, and his stage presence has grown over the years, honed by international touring experience. The special guests garnered most of the attention, but Choice’s backing band was tighter than a vise and funkier than a mosquito’s tweeter. Guitarist Andrew Levin and bassist Uriah Duffy shone in particular—easily handling the rapid mood swings of Choice’s material, which incorporated classical orchestration, jazz-fusion progressions, funky hip-hop breakdowns, and soulful R&B vocal stylings–sometimes on the same song. There was a string and a horn section, as well. Choice had clearly pulled out all the stops. 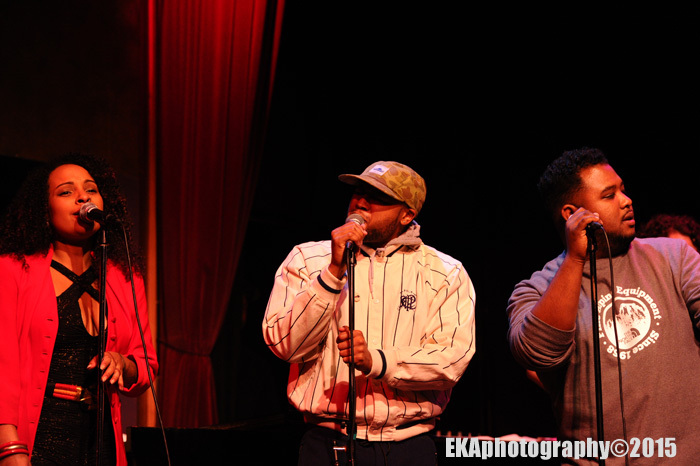 Oakulture’s notes scribbled during this time read, “music theory gives Kev an advantage” – a nod to the composing, arranging, technical finesse and musicianship which goes into his songs – something you might expect from a jazz player, but considerably rare within the hip-hop spectrum. Even hip-hop’s most celebrated producers weren’t technically composers, with the notable exception of RZA (in his later years). “Movement Music”—inspired by Johns’ activism, Choice related – was next, also featuring Antique on vocals. Introducing the song, Choice declared, “This is the home of the movement. 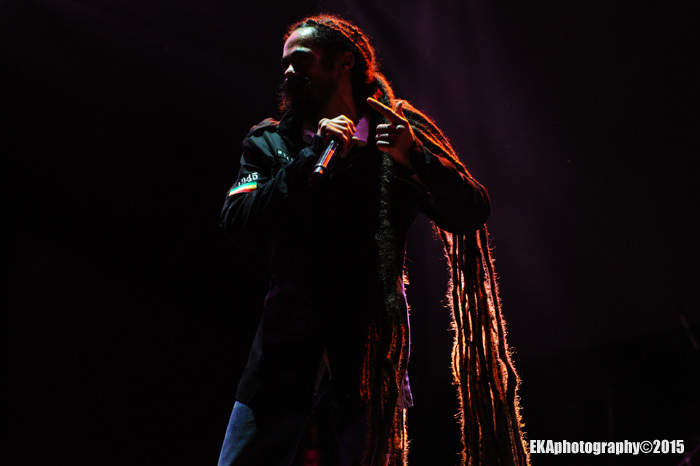 Oakland is where they started the movement,” he reminded the crowd. The next few minutes of the set essentially transformed the respectable, upscale environs of Yoshis into an activist staging ground, as the two powerful soul voices of Johns and Antique joined Choice in urging for positive social change. “Can’t have revolution without evolution,” Antique sang. 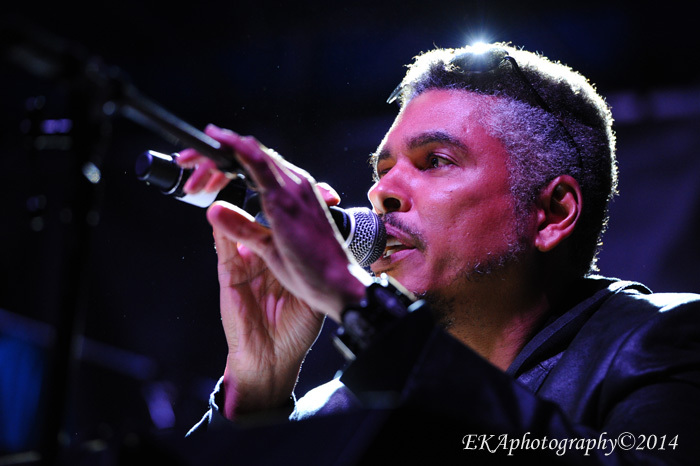 Guest vocalist Chris Turner took the show into rarified air with a falsetto-driven version of “People Make the World Go Round,” which the Yoshi’s crowd lapped up like hot butter. 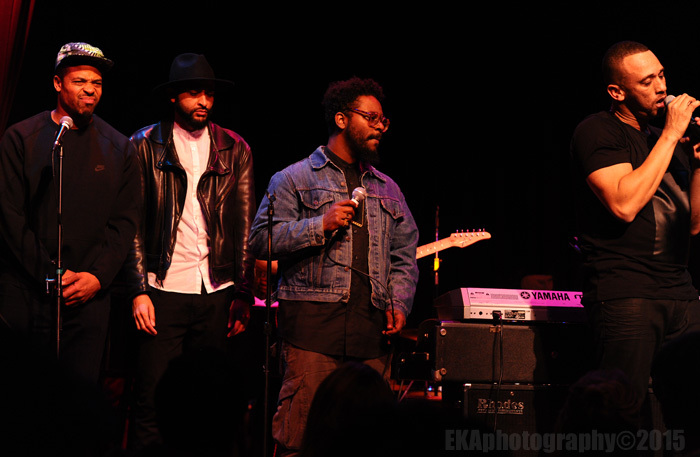 Turner remained on stage while even more guest emcees – Locksmith, Jeff Turner, and Zumbi Zoom – joined in on “Noose,” another reflection of what it means to be a black man in America. The illmatic posse cut raised the thermostat accordingly with sick rhyme flows. The expert pacing continued with “Meet Me at the March,” an ode to activist rallies which nicely continued the album’s theme. 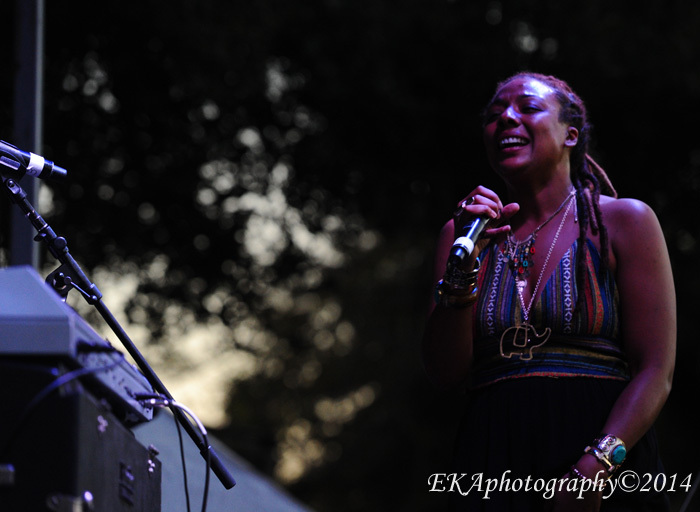 Time was almost running out, yet it seemed to stand still as Philly neo-soul diva Jaguar Wright took the stage and showed off some impressive vocal chops. Following her star turn, Choice made his aforementioned plea to extend the time, so he could play “Daddy,” a song about fatherhood written for his 12 year-old daughter, Anya, dedicated to her and all the fathers in attendance. The song spoke to hip-hop’s evolving intergenerationality, as well as Choice’s own maturity. Musically, not a lot of people are touching Kev Choice right now; his potential seems limitless. 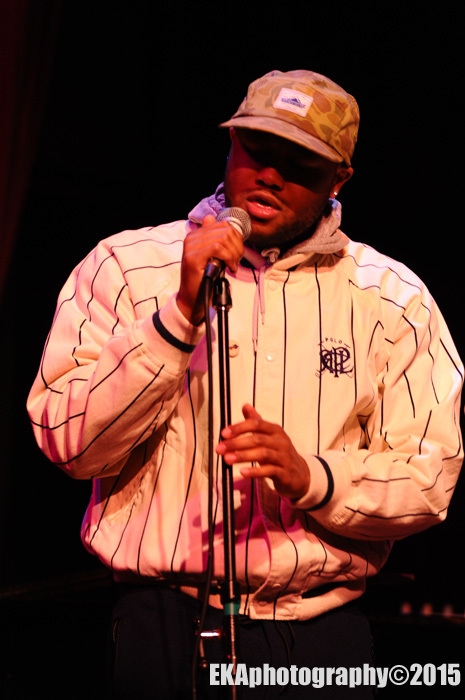 Lyrically as well, his content and delivery puts him far out in front of most of the rap pack. Some of Choice’s flows are downright un-be-lievable, content-wise, and he switched off between frontman and bandleader roles effortlessly. While the evening certainly showcased Choice’s talents, it also shone an equally-bright light on his collaborators. 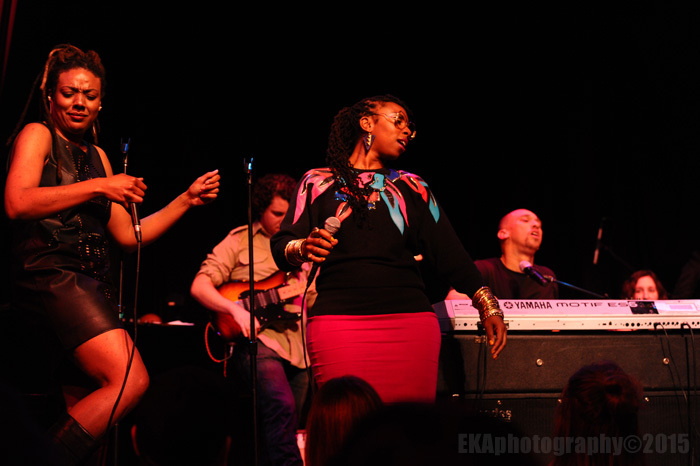 In some ways, Choice’s live band seemed reminiscent of the great Gil Scott-Heron-Brian Jackson bands of the 70s, who effortlessly mixed jazz, funk, soul, poetry and R&B into an infectious musical stew – the perfect complement to Scot-Heron’s sometimes-sung, sometimes-rapped, vocals. But Choice is far from retro in his approach. Though at times his sound is reminiscent of mid-70s jazz fusion, he ups the ante by incorporating hip-hop rhymes and prominently featuring female vocalists, as well as classical music-inspired melodies. Watching the show, you felt very much like you were witnessing a statement performance which spoke to the collective talent level of Oakland’s urban artist community. 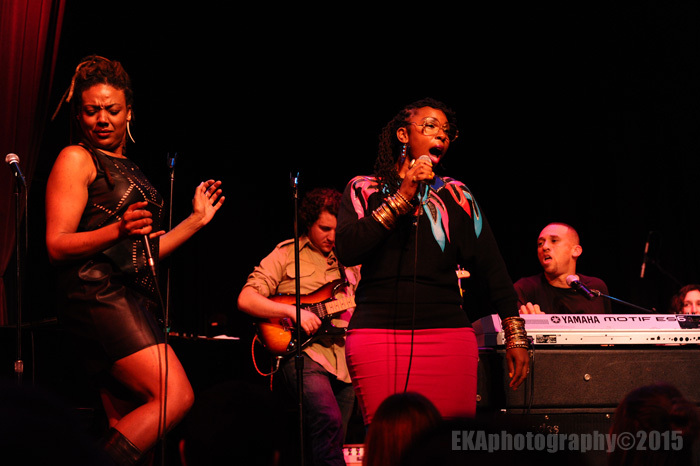 All in all, it was one of the most engaging shows Oakulture has ever seen at Yoshis, one which was anything but by-the-numbers smooth jazz (chair seating notwithstanding). 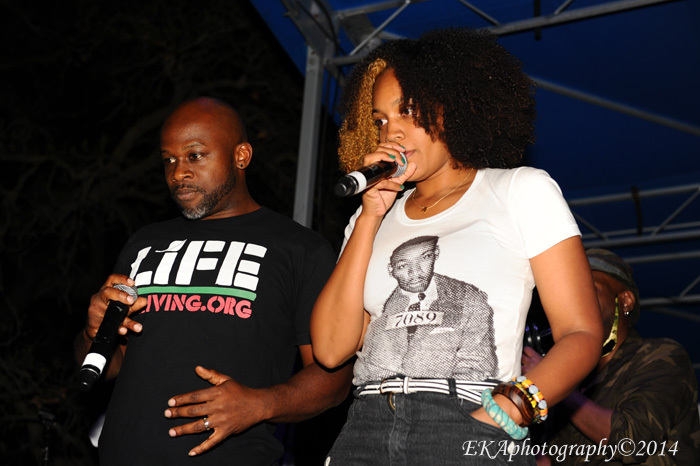 The legacy of community activism and the current vibe in the streets converged with incredible musicianship, conscious lyricism, and a slew of killer vocal performances to make the event one which will long be remembered in The Town. 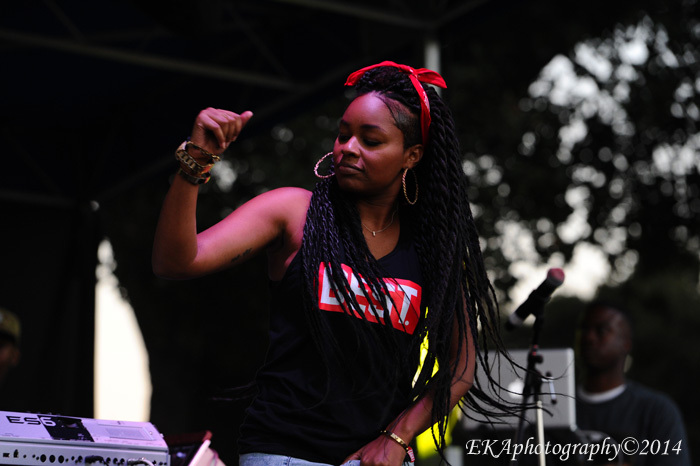 Categories: Event review, Live review, Music Review | Tags: 1-O.A.K., Candice Antique Davis, Chris Turner, EKAphotography, HNRL, Jennifer Johns, Kev Choice, Locksmith, Love and Revolution, Trackademicks, Viveca Hawkins, Yoshis, Zumbi Zoom | Permalink. The new year is off to an eventful start in our beautiful city! We kick off this week’s list of best event bets with tenor saxophonist Pharoah Sanders, a former John Coltrane collaborator and free jazz pioneer. Sanders got his start playing music professionally in Oakland in the 1950s, and lived in the Bay Area off and on through the early 2000’s. If you’ve never seen him live, prepare for a near-religious experience as he takes audiences to church with abstract, spiritual melodies and prayer-like chanting. Sanders kicks off a four-day SFJAZZ Center residency tonight through Sunday. Pharoah Sanders, 01/08-01/11, 7:30 p.m. (7 p.m. Sunday), $25.00-$65.00, All Ages, SFJAZZ Center (Miner Auditorium), 201 Franklin Street, San Francisco. www.sfjazz.org. » Buy Tickets. On Friday, start off your weekend at the opening reception and artist talk for the “BLACK<3MATTERS” art show at Impact Hub Oakland’s Omi Gallery. Prolific husband-wife dynamic duo Karen Seneferu and Malik Seneferu will unveil what they call “Afro-futuristic technokisi”: mixed media artworks featuring assemblage, paint, sculpture, and textile. The show runs until January 30. “BLACK<3MATTERS” Opening Reception & Artist Talk with Karen Seneferu and Malik Seneferu, and Gallery Director, Ashara Ekundayo, 01/09 (Exhibition closes 01/30), 7:00 p.m. – 10 p.m., Free Admission, All Ages, Omi Gallery at Impact Hub Oakland, 2323 Broadway, Oakland. www.oakland.impacthub.net/omi-gallery. » RSVP. 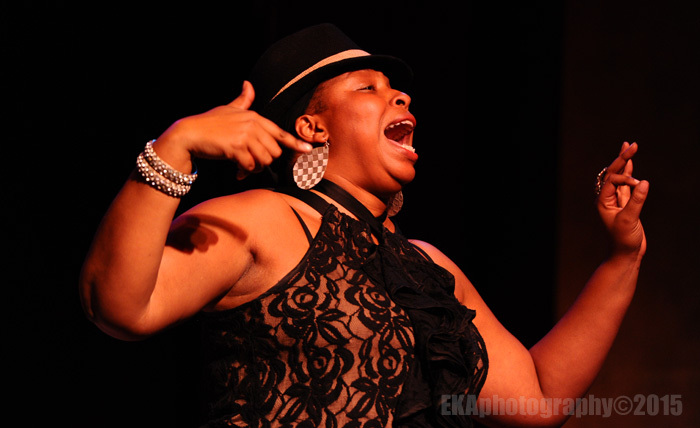 Oaktown Indie Mayhem presents Jennifer Johns, Aisha Fukushima and Coco Peila, Hosted by RyanNicole, 01/09, Doors 8:30 p.m., Show 9:00 p.m., $9.00 – $15.00 General Admission (Under 21 must buy $5 drink ticket at the door), 18 and over, Leo’s Music Club, 5447 Telegraph Ave., Oakland. www.clubleos.com. » Buy Tickets. 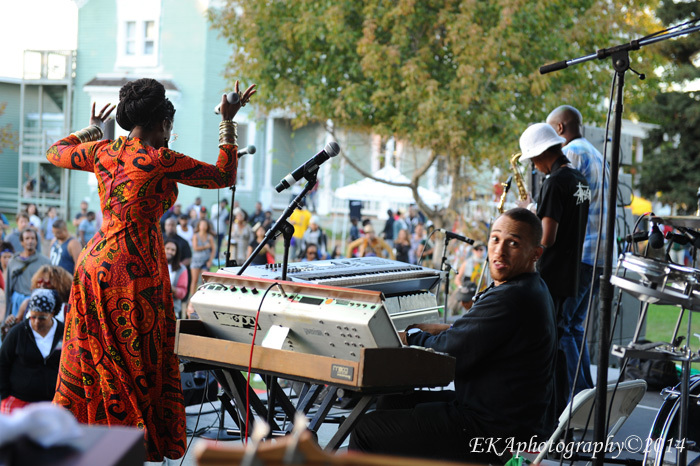 On Sunday, join Mayor Libby Schaaf at an Oakland-themed, free arts and community celebration. 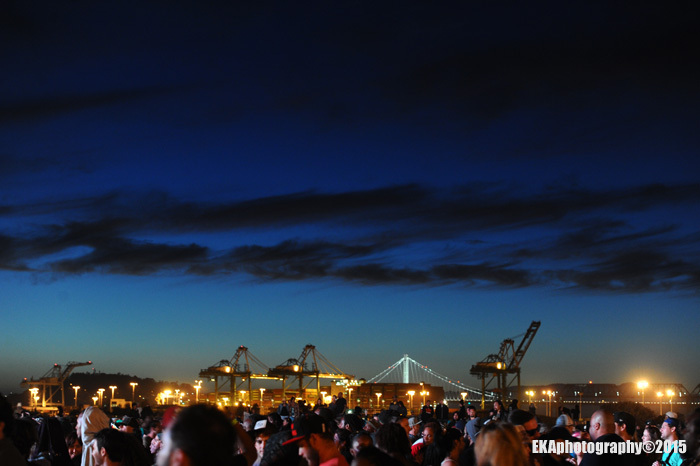 The “Made in Oakland” Inaugural Festival will take place at the country’s largest industrial art warehouse, American Steel Studios, and will feature live music by the Kev Choice Ensemble and the Bay Area Blues Society, a dance performance by vertical dance pioneers BANDALOOP, a Burning Man-style sculpture exhibit, art cars, a curated art gallery, aerialists, local filmmakers, an interactive kids zone, local food vendors and trucks, Oakland wines and craft beers, and much more. Special guest Glynn Washington, host of NPR’s Snap Judgment, will emcee the event. “Made in Oakland” Inaugural Festival with Mayor Libby Schaaf, Glynn Washington, Kev Choice, Bay Area Blues Society, BANDALOOP, and more, 01/11, 3:00 p.m. – 7:00 p.m., Free Admission, All Ages, American Steel Studios, 1960 Mandela Parkway, Oakland. www.americansteelstudios.com and www.libbyforoakland.com/inauguration. We round out this week’s picks with a good laugh Monday evening, with none other than Oakland native, Los Angeles-based, actor/comedian Mark Curry. Known for his acting roles in TV sitcoms “Hanging’ with Mr. Cooper” and “See Dad Run,” his cameo in the Too $hort video “I Ain’t Trippin,” and performing standup comedy on Comedy Central, Curry returns to his hometown on Monday to perform his signature classy stand-up routine at Yoshi’s Oakland. Mark Curry, 01/12, Doors 7:30 p.m., Show 8 p.m., $23.00, All Ages, Yoshi’s Oakland, 510 Embarcadero West, Jack London Square, Oakland. www.yoshis.com. » Buy Tickets. 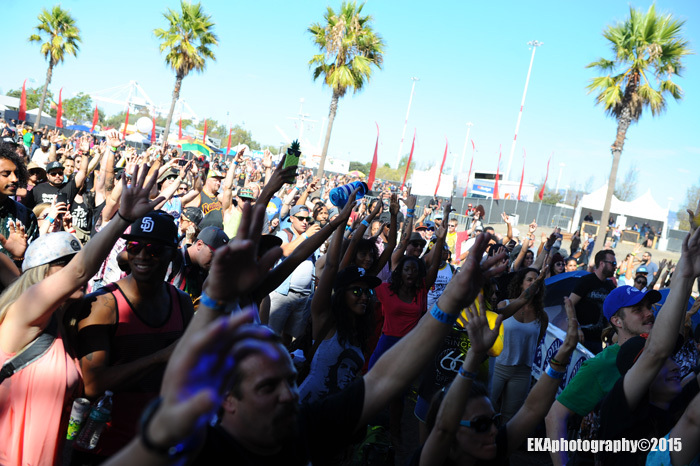 Oakulture’s event picks are compiled by Zsa-Zsa Rensch. Connect with Zsa-Zsa on Twitter at @zsazsa. Categories: Events, This Week in Oakulture | Tags: Aisha Fukushima, American Steel Studios, Ashara Ekundayo, Attitudinal Healing Center, BANDALOOP, Bay Area, Bay Area Blues Society, Bay Area events, City of Oakland, Club Leo's, Coco Peila, East Bay, East Bay Events, Ferrell Sanders, Glynn Washington, Impact Hub Oakland, Jennifer Johns, Karen Seneferu, Kev Choice, Leo's Music Club, Libby Schaaf, Made in Oakland, Made in Oakland Week, Malik Seneferu, Mark Curry, Mayor Libby Schaaf, Oakland, Oakland events, Oakland Grown, Oakland Makers, Oaktown Indie Mayhem, Oakulture, Omi Gallery, Pharoah Sanders, Politics, RyanNicole, SFJAZZ Center, Yoshi’s Oakland, Zsa-Zsa Rensch, ZZ's Picks | Permalink.